Nilfisk was the first supplier of high-pressure washers to integrate revolutionary high efficiency boilers in hot-water pressure washers in line with European legislation. 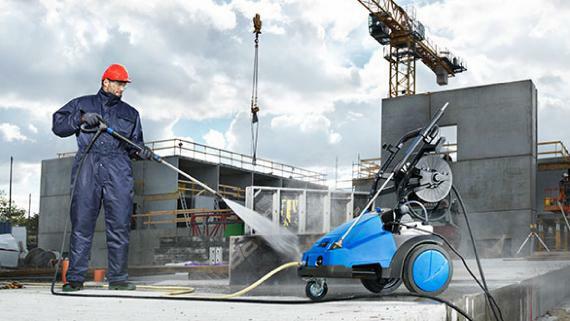 Nilfisk’s efficiency levels are still amongst the highest on the market - ranging between 92% and 93%. Our double pass, labyrinth coil system ensures that Nilfisk can offer high outlet water temperatures at low running cost. A double saving for the user! Low fuel consumption saves money - but higher water temperatures also reduce cleaning time: and thus overall cost in terms of water, fuel, electricity and labor. The EcoPower boiler possesses a natural Eco Mode: simply set the thermostat to 60 degrees as opposed to full power and fuel consumption is reduced by as much as 20%. Water temperature will naturally be limited - as will the consumption of fuel. Such applications are ideal where high temperatures are not required - such as car cleaning. 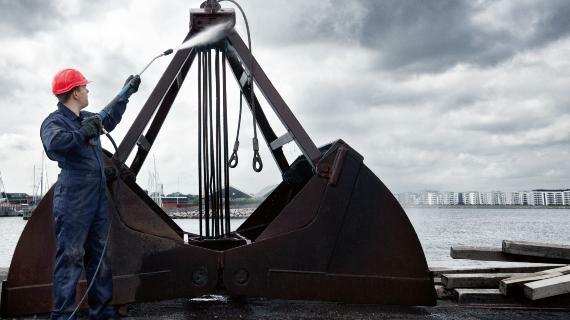 Nilfisk is also committed to maintaining our service network to ensure optimal productivity and serviceability. As with all mechanical equipment, regular maintenance prolongs the life of your pressure washer. This maintenance should be easy, intuitive and with a reduction in down time and cost to the user. 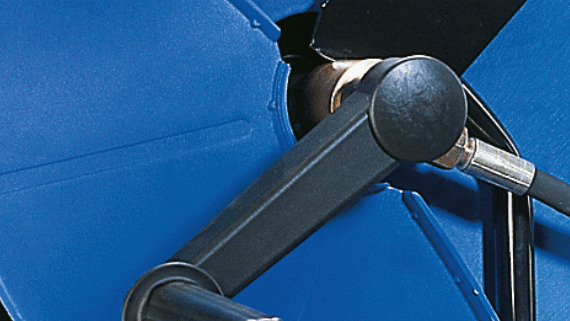 Access to parts is facilitated by easy-to-open cabinets and easy-to-reach core components. Time spent on maintaining pump valves, seals and other wear parts can be kept to a minimum. The majority of our pumps are reinforced wobble disc pumps using only quality and corrosion-free materials, such as brass pump heads. 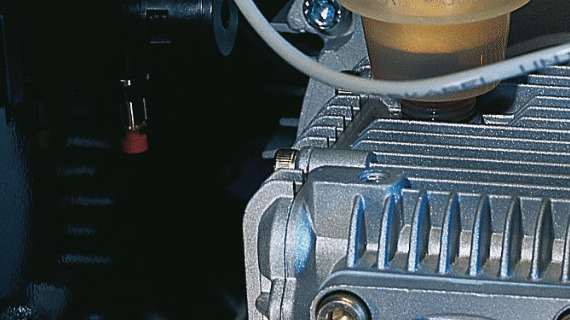 The pumps offer long working life and ease of maintenance. 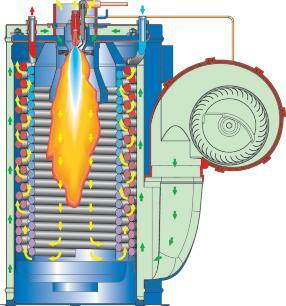 Our industrial class pumps are capable of running on sea water and also on high temperature water. Our air-cooled 4 pole (1450 rpm) or 2 pole (2800 rpm) motors are both maintenance-free and efficient, ensuring the reduction of energy waste during use. Our automatic start-stop systems - whether immediate or time delayed - ensure that the motor is not running during pauses in use. Motors are all equipped with thermal protection. The high-end hot water models are equipped with Intelligent Service Control function, a diagnostics system that indicates any anomalies enabling direct action or direct contact to our service network. 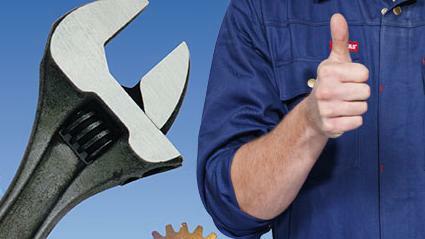 Immediate identification of the issue can mean a reduction in service costs and downtime. Many of the medium- and premium- class hot and cold water models are equipped with flow activated hydraulic control technology. This solution leaves the pump head, hose and spray gun depressurized during standby mode. This makes handling of hose and gun easier and safer. Re-start of the machine is softer with no sudden recoil of gun and lance. Finally, they washers are protected from motor start stops, caused by leaks into the pump, hose, gun or piping systems, ensuring longer life and reliability.